It’s an omnipresent question that becomes more important with each passing year. Our produce is being gassed, sprayed with chemicals, and even genetically manipulated to the point where it’s becoming and harder to keep track of how many different pesticides, insecticides and herbicides are actually being used. Leading the charge once again is Bayer AG, a German chemical and pharmaceutical company (which has a dark history related to manufacturing a chemical used in death camps during WWII), which recently purchased Monsanto, creating a company that could control more than 25% of the global seeds and pesticides market when it’s all said and done. Just how much poison they plan to saturate our food supply with remains to be seen, but if one particular plan outlined in the company’s recent investor report is any indication, we could be in for some serious problems as the Monsanto-Bayer “merger from Hell” finally begins to take root. In a 13-page presentation for their investors, Bayer lays out all the information about its merger with Monsanto. What consumers should especially be aware of is page 7, where the company explains every step that will be done to produce a single soybean crop. As usual, the chemical glyphosate will be prominently featured. Dubbed a “probable human carcinogen” by the World Health Organization’s International Agency for Research in Cancer in 2015, it serves as the main component of Roundup and figures prominently in the latest plans for Monsanto and Bayer to douse our food supply with toxicity. 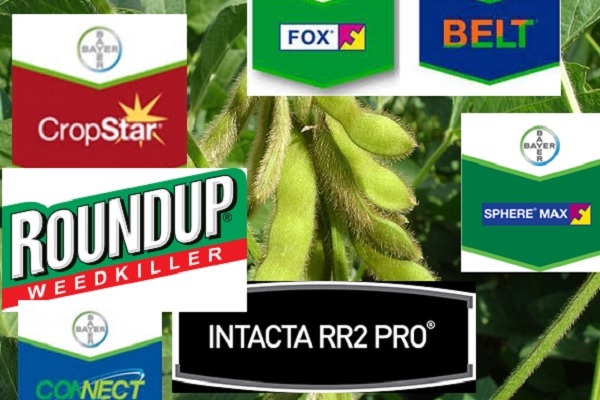 Monsanto seed, Intacta RR2 PRO: This GMO seed has been engineered to tolerate glyphosate herbicide applications due to RoundUp Ready technology, i.e. genetic engineering. Studies have found high levels of glyphosate residues on GMO soy, however, raising health questions. Because glyphosate disrupts the healthy gut microbiota, and gut health is responsible for the immune system, consuming even small amounts of it can have a negative impact on human health. “CONNECT” by Bayer sounds innocent, but it’s full of toxins for humans and the environment. CropStar seed treatment by Bayer: Monsanto’s genetically modified soybean seeds are then treated with CropStar, a chemical that the U.S. Environmental Protection Agency (EPA) asked Bayer to remove from the market in 2016 because it was found to harm wildlife in streams and ponds. 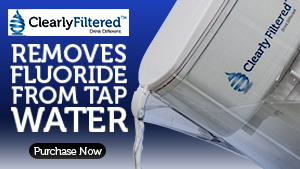 CropStar is made of imidacloprid 150 and thiodicarb. Imidacloprid is a neonicotinoid (neonic) insecticide, a synthetic derivative of nicotine. This insecticide brings Bayer over $1 billion annually, which is why the company is hiding its hazards, critics say. Neonics do serious damage to honeybees, and it’s been known for years, but that’s not all. While studying imidacloprid’s impact on honeybees, scientists found information concerning human health as well: it may negatively impact the developing human nervous system. One of the most alarming studies has shown that imidacloprid applied in a flea treatment for pets during pregnancy is associated with autism disorder in prenatally-exposed children. 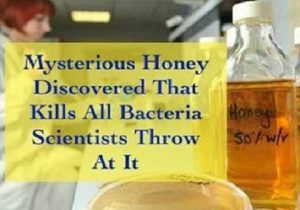 Because neonics work by affecting nerve functions and brain functions of insects, it is not surprising that they may have similar negative effects on the human nervous system. RoundUp weed management by Monsanto: Roundup is the most known Monsanto herbicide, used on lawns and crops all around the U.S. Its active ingredient, glyphosate, has been linked to increased risk of lymphoma, and Monsanto has been sued for colluding with the EPA to prevent the disclosing this link. One of the studies concluded that glyphosate disrupts healthy blood cell function and brings the body into a sick state, which then may lead to cancer. 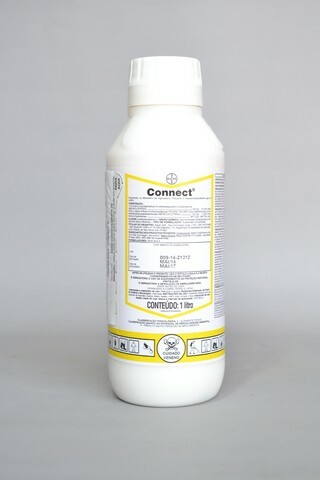 CONNECT Pest Management System: Made of imidacloprid (just like CropStar) and beta-cyfluthrin, a chemical that is said to be much more toxic than cyfluthrin. Cyfluthrin is a DDT-like pesticide: a neurotoxin, and it causes organ inflammation. FOX and SPHERE MAX disease management by Bayer: The last step of a soybean crop’s chemical journey is being treated with FOX and SPHERE MAX for disease control. Both are manufactured by Bayer, and both contain trifloxystrobin. This fungicide has been linked to reproductive and issues, kidneys and liver damage, and developmental issues. As shown in its presentation, if the Bayer-Monsanto merger goes through, together these companies will use their massive market share and influence to push for more harsh, toxic chemicals and more chemically-intensive crop production systems, even at a time when the United Nations just announced that we don’t even need pesticides to “feed the world” after all, (a claim that Monsanto uses to justify its business model). 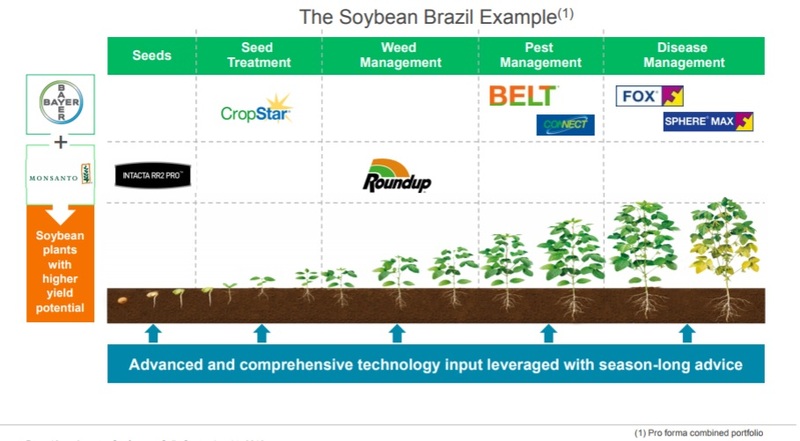 The goal of this system is to drench the soybean plant in chemicals in order to create “plants with higher yield potential,” according to the investor report. But considering that recent studies have shown that these GMO crop and chemical based systems have mostly failed to live up to their promises of higher yields, as noted in this New York Times report that compared yields in countries that do and do not grow GMOs, is this system actually necessary? In the example of the soybean crop, instead of a healthy organic soybean, what we often end up with at the conclusion of the growing process is a GE crop that has been sprayed with as many as six different pesticide products that could lead to myriad, serious health risks for our society: from Alzheimer’s and liver disease to autism and cancer. This is just one major reason why many health experts agree that this merger must be stopped. One of the biggest petitions available online today on this issue is by SumOfUs, who is requesting that the European Commission stops the Bayer-Monsanto merger. In good news, just last month they received a letter from the European Commission saying that they will take their time assessing this situation, which gives us – the consumers – at least a few months to act. 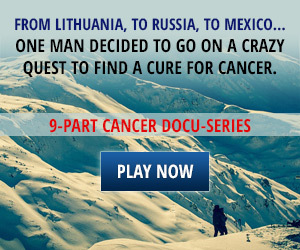 Roundup is not the only environmental toxin linked to cancer! 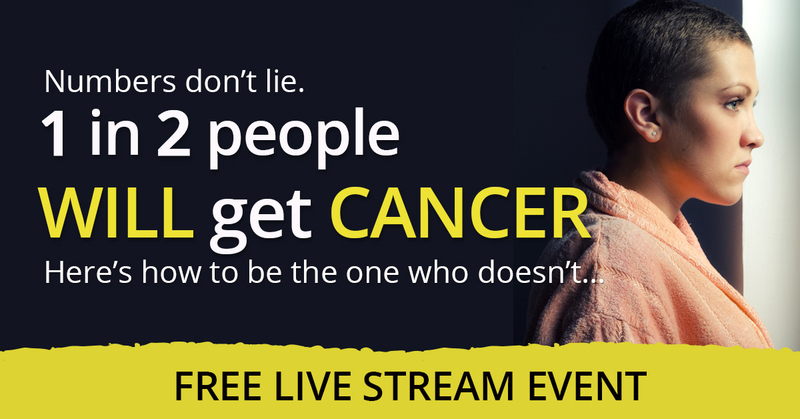 Learn the Truth About Cancer; an eye-opening 3-day live event is playing online for FREE October 5-7,2017. Reserve Your Spot NOW. 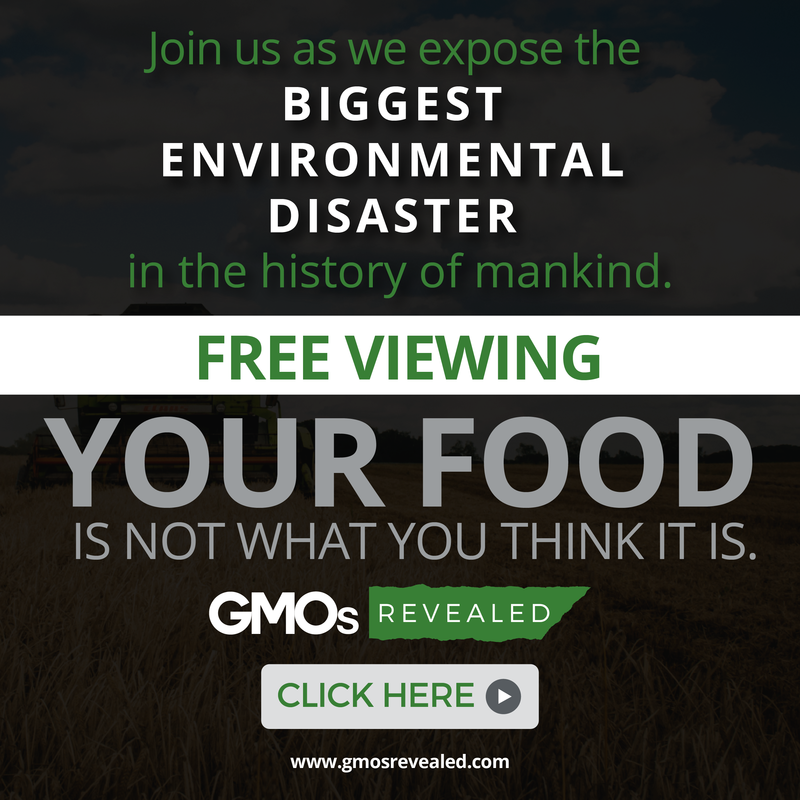 Categories: Genetically Modified Food and GMO Foods. Tags: ADHD, althealthworks, alzheimer’s, Autism, autism bayer, autism disorder and insecticides, autism Monsanto, autism round up, bayer, bayer Monsanto merger, Bees, belt bayer, bladder cancer, cancers, chlorpyrifos causes developmental issues in children, connect bayer, cropstar, cropstar health risks, cropstar ingredients, developmental issues, environmental reproductive hazard, environmental toxin linked to cancer, epa asked bayer to remove pesticide, epa bayer, European countries that banned gmos, Fatty liver disease, flubendiamide, fox bayer, fungicide, fungicides health effects, genetically engineered seeds, glyphosate, health, healthhazard, Hormonal imbalance, imidacoprid, insecticides health effects, Intacta RR2 PRO, kidney damage, kidney toxin, kidneys cancer, liver cancer, liver damage, lymphoma, monsanto, Monsanto seeds, Multiple sclerosis, neonic, neonicotinoid, neonicotinoid insecticides, neonics neurotoxic, neurotoxin, Obesity, organ inflammation, pancreas cancer, Parkinson’s, pesticide, pesticides health effects, roundup and cancer, roundup danger, roundup health hazards, roundup is toxic, roundup research, roundup study, soy gmo, sphere max bayer, stop Monsanto bayer merger, Thyroid cancer, toxic, and toxicchemicals.